'Addictive' Cigarette Smoking Games On Smartphones Target Kids : Shots - Health News Researchers have found dozens of free apps on iPhones and Androids that promote and glamorize smoking. Many of the apps target children and teens by using cartoons, celebrities and games. Health experts say these apps, downloaded by millions of people, violate bans on tobacco advertising. Screenshot from Puff Puff Pass Lite. 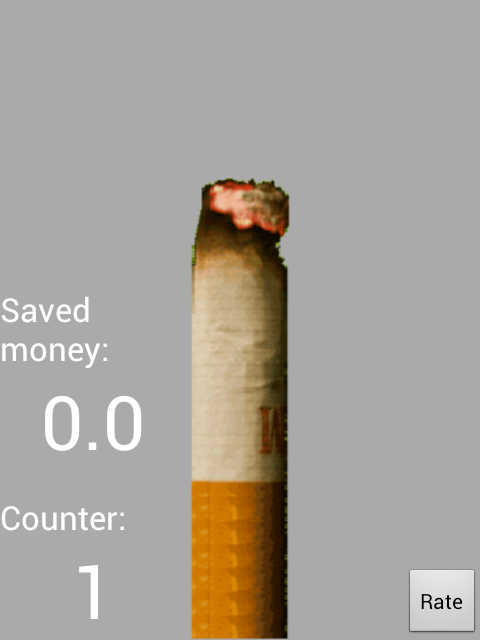 In this iPhone app, players pretend to smoke a cigarette and then pass it to their friends. Yup, you read that correctly. Android and Apple offer apps that let you light and smoke a virtual cigarette. You simply blow into the microphone, or onto the screen, and an image of a cigarette glows red and "burns." Some apps time how long it takes to puff the whole fag, while others have a virtual ashtray that pops up messages like, "Would be even better with a beer in your hand!" Public health researchers at the University of Sydney have found 107 apps on iPhones and Androids with pro-smoking messages, including these so-called smoking simulators. Many of the apps are free to download and target children or teens by using cartoons, games and celebrities. The researchers, who describe the apps this week in the journal Tobacco Control, say these games violate the World Health Organization's bans on smoking advertisements. They call for more regulation of the apps' content and distribution. It has been clear for a while that cigarette ads have a dramatic effect on kids. So much so, that tobacco companies are forbidden from advertising directly to them. In the U.S., the tobacco industry can't sponsor sports teams, give away t-shirts or even advertise on TV. But now it looks like tobacco companies have found a loophole in these regulations through the smartphone apps. Besides the simulators, there are also photo galleries of cigarettes for wallpapering your phone, instructions for rolling cigarettes into various shapes and tobacco "shops" where you can build your own cigarettes. By far, the smoking simulators are the most popular, at least in terms of downloads. The researchers found 36 simulators on the iPhone and 10 on Android. At least 6 million users downloaded the Android simulators by February 2012, accounting for nearly 99 percent of the pro-smoking downloads. Screenshot from the Smoke Virtual App. 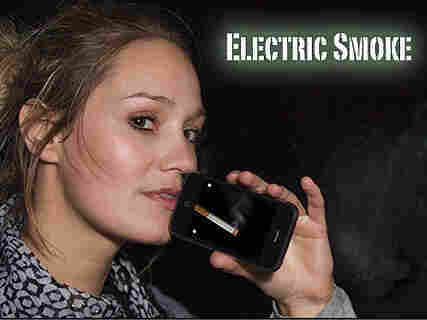 In this virtual smoking app, the cigarette 'burns' as you breathe on the phone. Another iPhone app, called Puff Puff Pass, depicts a virtual smoking sessions with friends, allowing you to pass a cigar or cigarette around the room. "Addictive gameplay, almost as addictive as smoking for real," the app's description reads at the iPhone Store. Such interactive games may be worse for kids than billboards and magazine ads, says Barbara Loken, a consumer psychologist at the University of Minnesota. "They increase the involvement or engagement of the participant, even more than advertisements," Loken tells Shots in an email. This "may make the participant even more likely to take up smoking." Ironically, some of pro-smoking Android apps landed in the Health and Fitness category because they claim to help stop smoking. But Loken says that an app would have to depict smoking in negative light for it to facilitate quitting. "If anything, [the apps] normalize smoking," Loken says. "Kidsare at a stage where their forming their identity. The apps can provide ... a way of making smoking normal among peer groups." There's plenty of research out there showing how smoking in movies impacts tobacco use in teens, Loken says. Most studies have found that the greater number of movies viewed, the more likely a person will uptake smoking. A similar effect may occur with these smartphone apps, Loken says. So she thinks they should be restricted, too. The only regulation right now is a warning of mature content when you download some apps on the iPhone. And, users must enter their birthdays for apps distributed by Marlboro. But for many smoking simulators and games, finding and installing them is as easy for kids as playing Angry Birds.